Now it's time for the real fun! Lots of parts to lose and forget about! 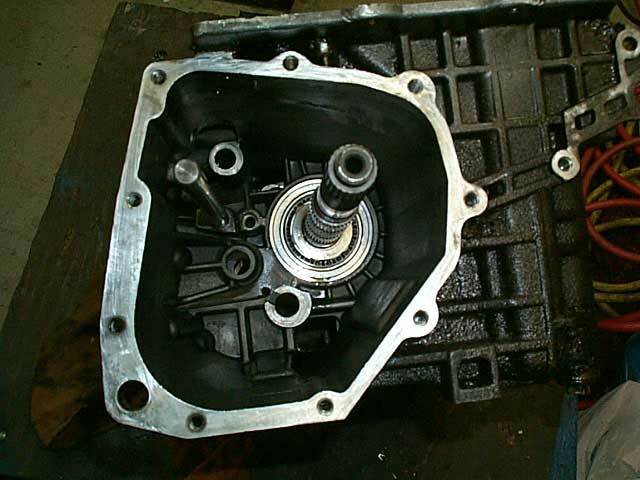 The first thing to do is to remove reverse gear completely. You can remove the shaft on the other side and reverse will just fall out. Now the easy part. Removing the guts of the transmission. Have a table right next to you when you do this. 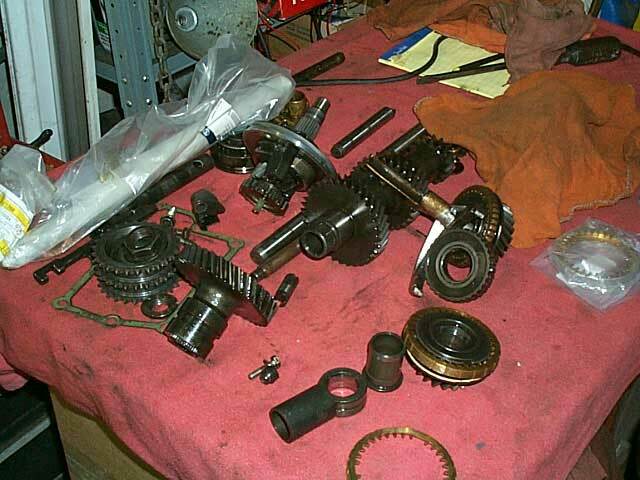 As you remove the parts of the transmission, lie them down in order of removal on the table. This makes it a thousand times easier to put back together! You will have to remove the big cluster gear first. Then you can remove the primary gears and shift forks. This is what the housing should look like after you remove everything. Now you have a table of parts! Since this should have only taken about 10 minutes, it's your choice to have a beer or not! If you're wondering if you can really put it all back together again maybe a beer won't hurt!